Keyed Alike is available for this item. 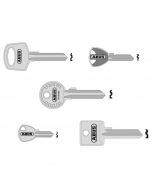 This means if you order locks of a keyed alike suite, all the keys you receive will open any one of the padlocks of the same model in your order. 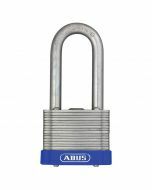 The ABUS 41 Series laminated steel padlocks are made up from individually plated laminated steel sections with the bottom most plate hardened. The laminates individually refined with the new Etrena treatment process for optimum protection from corrosion offering up to 40 years weather protection. 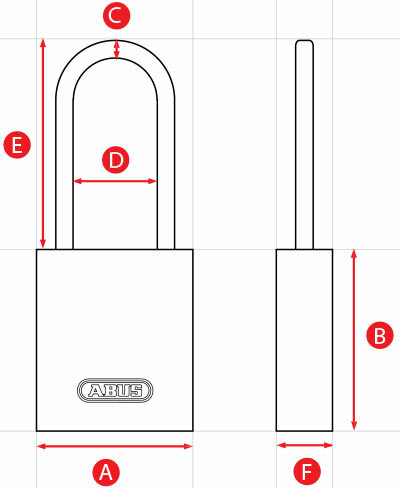 The rivets in the outer laminates are compressed to protect against the rivet heads being knocked off and a precision pin tumbler cylinder protected against drilling and leverage round of its features.